Lama Yeshe strongly believed that practices that helped develop compassion and wisdom should not be limited to advanced practitioners, but that the common person in the street could benefit from them as well. 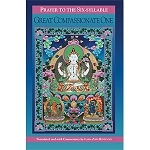 In this book, Lama Yeshe provides a commentary on a short guru yoga practice written by His Holiness the Dalai Lama. The practice includes visualizations that inspire the development of compassion and wisdom. The final section of this ebook goes into detail on the subject of mahamudra, the true nature of all phenomena, another potentially tricky subject. Here again, Lama Yeshe presents the teachings by drawing on examples from daily life and through introducing meditation practices that anyone can follow. Lama Yeshe was both one of the most beloved Tibetan Buddhist masters of the late twentieth century and a remarkably effective teacher and communicator. In one of his earlier books, Introduction to Tantra, he manages to present a subject that has been misinterpreted and muddled by numerous commentators in a clear and accessible way. Since his death in 1984, many of his teachings have been collected. Although some have been published, some of his most important teachings still have yet to become readily available. 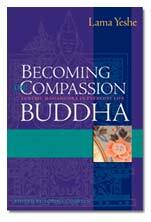 Becoming the Compassion Buddha represents a significant development in that it is the first of a series of books that examine key tantric deity practices in the Tibetan Buddhist tradition.